I'm not sure what to say about this. I thought it was funny at times but on the whole a little boring. For the most part it's also shallow. 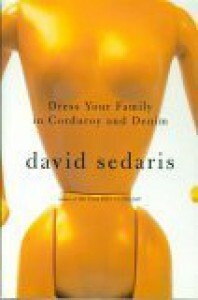 I guess that given the popularity and ubiquity of Sedaris' books I was expecting something more interesting. On the whole it just didn't inspire strong feelings one way or another. Pablum.